Foxium, a fairly new casino software games provider, has just released a new fantastic fantasy pokie game, Adelia the Fortune Wielder, to Slots Magic online casino. Slots Magic casino online is powered by a number of leading online casino software providers, which includes NetEnt and Microgaming. However, Slots Magic is also powered by new developers, but their quality of games is still top-notch, as can be seen with the new pokie. As you might have guessed, Adelia the Fortune Wielder has a fantasy theme, as the reels are set in a make-believe land where Adelia is standing watch. The artwork of the online pokie keeps up with the theme as the symbols are decorative and detailed. The symbols which payout the most are the book, staff, potion, dagger and pouch. The less paying symbols are card icons ranging from a to 9. The wild symbol is a ‘W’ and appears on reels 2, 4 and 5. However, during the free spins feature, the wild can appear on any of the reels except for 1. 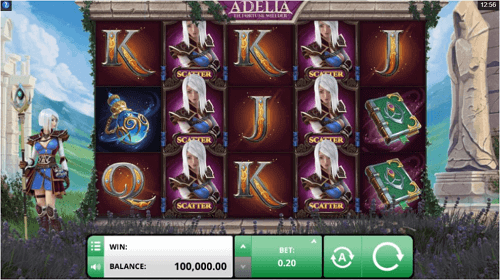 Adelia wields her fortune through lucrative game features, such as a multiplier wild. In the base game, the multiplier wild can land on the middle reel, which will result in payouts being multiplied by a random value starting from 2x to 5x. If a player gets the multiplier on all the rows of the middle reel, the re-spin feature will be activated. This will be a repeated cycle until a player hits a winless spin. The scatter symbol of the game is Adelia, if you land 4, 5 or 6 scatters on reels 2 and 4 in the base game, you will trigger 10, 20 or 30 free spins. No wild symbol can replace a scatter symbol, and the free spins feature can be retriggered. So, what are you waiting for? 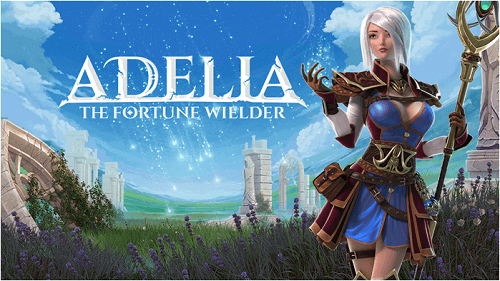 Claim your free spins and spin the reels of Adelia the Fortune Wielder to receive spectacular payouts now!